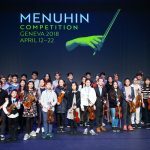 Joint winner of the Menuhin Competition Geneva 2018 Junior 1st Prize, 11-year old Chloe Chua, and Artistic Director of the Menuhin Competition, Gordon Back, will be performing two concerts in Saudi Arabia at the invitation of the General Culture Authority. Chloe and Gordon will first perform at the King Fahad Cultural Center in Riyadh on 21st July, followed by a concert at Dar Al Hekma University in Jeddah on 23rd July. 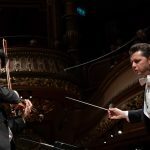 As stated in this Arab News article, the General Culture Authority of Saudi Arabia is committed to “featuring internationally renowned artists in the Kingdom” and providing “diverse artistic experiences to audiences in the Kingdom”, and the Menuhin Competition is pleased to be collaborating with the General Culture Authority to produce these concerts.